SKU: ketovanpack. Categories: Keto, Limited Supply Sale Items. 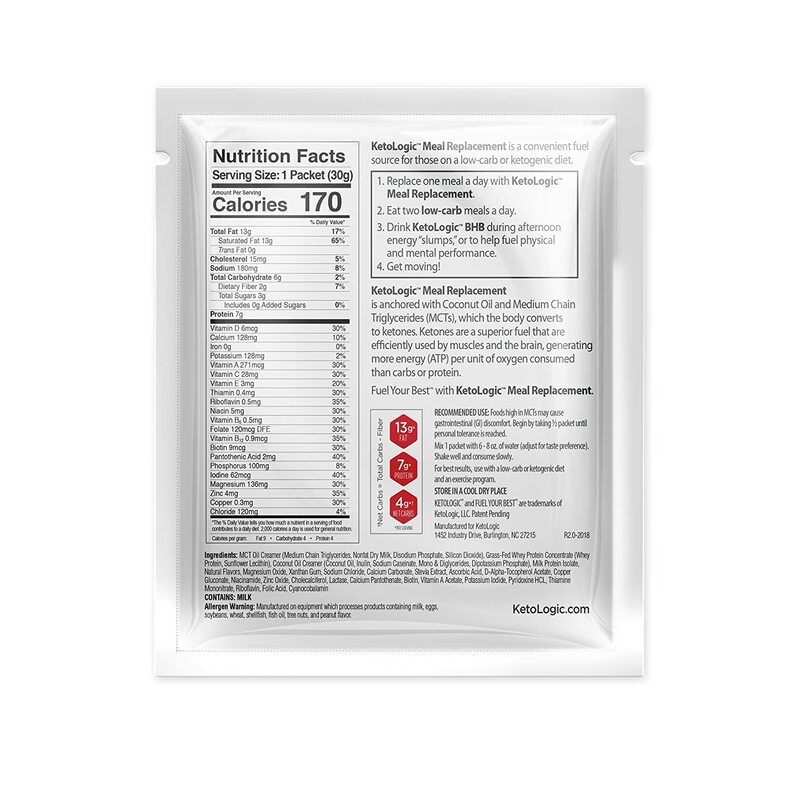 CONVENIENT AND DELICIOUS: All-natural KetoLogic Meal Replacement (MRP) is a convenient and satiating fuel source for anyone, including those on a low-carb or ketogenic diet. Delicious, rich, and NOT chalky, KetoLogic MRPs blend smoothly with water and are delicious in your morning coffee or smoothie. Also try it with Almond Milk or Coconut Milk. 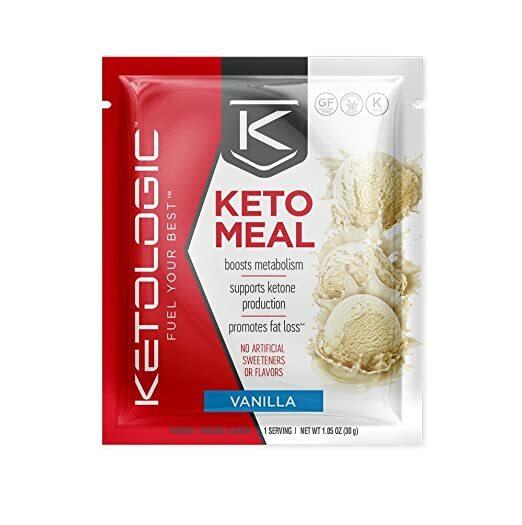 PROMOTES FAT LOSS: KetoLogic MRP contains MCT (medium-chain triglycerides) which promote weight loss and fat oxidation while boosting your metabolism. BOOSTS KETONES: Highly ketogenic, KetoLogic MRPs help you get into ketosis when accompanied with a low-carb diet. SUPPRESSES APPETITE: KetoLogic MRP decreases your appetite and keeps you full and satiated for hours. Replace your breakfast or lunch with one of our MRPs and then eat two low-carb meals to optimize the health benefits.